Today I am spending most of my time in a room that I don’t typically like to log too many miles in. Due to what is likely some sort of rogue toy, I am replacing a toilet in my house today. I am not having it done, I am doing it. And for the record, my borderline germaphobic tendencies are being pushed right up to the line. Remember therefore from where you have fallen; repent, and do the works you did at first. If not, I will come to you and remove your lampstand from its place, unless you repent. 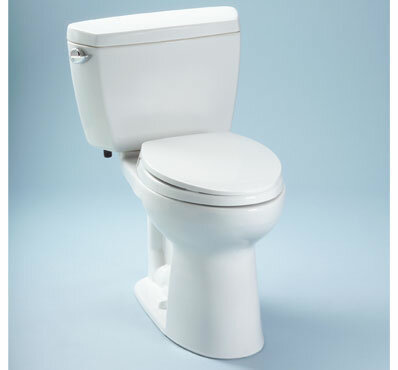 Now, before any “first works” jokes regarding the toilet are taken too far, that is not what I’m referring to. It occurred to me that many years ago someone was in the same bathroom doing a job that was roughly the same one I’m doing today. Granted that person was installing a commode for the first time in the house and I am taking one out and replacing it, but the jobs are similar in scope. What was interesting was how the same job, or work, can mean something much different depending on our current position. The plumber that did this the first time was either part of a construction crew, or he was a sub-contractor whose task was to install fixtures and pipes and then be gone. I, on the other hand, actually live in this house and it’s going to be my posterior riding on top of whatever work I do today. If the Ephesians took John’s wise counsel to heart and redid their “first works”, wouldn’t it have felt different than when they did them the first time? They were all in different stages of life, they had all acquired more knowledge of God since the first time, and they had found out that some persecution accompanied a first century decision to follow Jesus Christ. There is no way it felt the same as it did the first time. I’ve had conversations with people and heard testimonies in which they relish in the “first time”. There can easily be a romanticized sense of “it’ll never be like it was the first time Jesus called my name”, or some other similar story. I don’t particularly believe that, and I’ll offer one reason (though there are others) why. Though Peter catches most of the ire for his denial the night of Jesus’s arrest, all eleven remaining disciples abandoned the Lord that night, including the same John that penned these words to the church at Ephesus. He took off into the darkness like a cat on fire and he, later, had to come to grips with his own guilt and sorrow after the fact. Before he is known as “the disciple that Jesus loved”, we see him as “the disciple that Jesus couldn’t find”. John, in his first three years of “soteriological bliss” (salvation joy), was unable to stand by Jesus in the face of trouble, but 50+ years into his journey with the Lord John could handle being dumped in boiling oil and then exiled to a penal colony on the island of Patmos. It would seem to bear out that his “first time”, while wonderful and awe-inspiring, was not greater than the subsequent years. I’ve walked down what could seem to be a peripheral point about John’s life because I believe John illustrates something important. I believe that John was a master of the “first works”. His epistles are not esoteric theological statements about fringe ideas and topics, they are about love and relationship. What John found, and what I believe we will find, is that the healthy Christian life, the kind of faith journey that will lead us into deeper meaning, nearer relationship with God, and more joy in the end than the beginning consists of exactly what the Ephesians were told to embrace, the “first works”. The reason I believe this to be true is because of the toilet that I’m working on…stay with me. The gentleman that installed that toilet so many years ago had nothing invested in it other than a little time and his reputation as a plumber that does a good job. He did a good job for an agreed upon wage at a house he may have never been to on Jaben Drive in Greenville, South Carolina. The “first toilet works” were done for honorable purposes and they have served well over the course of time. But now I’m the one working, I’m doing the “first toilet works” again, and it couldn’t be more different. To keep things above board, I’ll just say that I’m no stranger to that bathroom or that toilet 🙂 . What’s more, I’ve helped and watched my daughter potty-train on that toilet, in that bathroom. Re-doing the “first works” at this stage of the game has a completely different level of care and concern. This actually means something now. Perhaps this has been scattered, considering where my hands have been today I think this is pretty miraculous, but here’s the point: the things we did at first should be the things we are doing now. The “first works” don’t stagnate simply because we are constantly growing. The more deeply we are invested in the life of following the Jesus the deeper we realize the “first works” are. The things we do don’t have to change, we are the ones that change. Newlyweds may like to hold hands, but how much different is it for a married couple of 60 years, with all the pain, joy, grief, experience, laughter, and tears? Both couples are doing the same thing, one of the “first things”, but how much deeper is the grasp of those leathery, arthritic hands when they find each other? Do the first things friends, eventually we will see that they are the only things. And I know I didn’t define “first things” today, but if you don’t remember, then maybe it’s time to sit still, quiet, and focused and let the memory of those days surge up into your mind from your heart. People don’t forget how to hold hands, they just stop doing it.